Phew, what a week! We packed in lots of activities this week - a KS1 and KS2 Sports Festival that included lots of activities that involved ball skills - boccia, tennis, rounders, football, hockey, and basketball. KS1 danced away to various footballing songs led by our in-house talented dance lead, Mrs Harvey! Some amazing moves. Year 4 organised and led a series of sporting activities for KS1. Each class was allocated a group of countries from the World Cup. 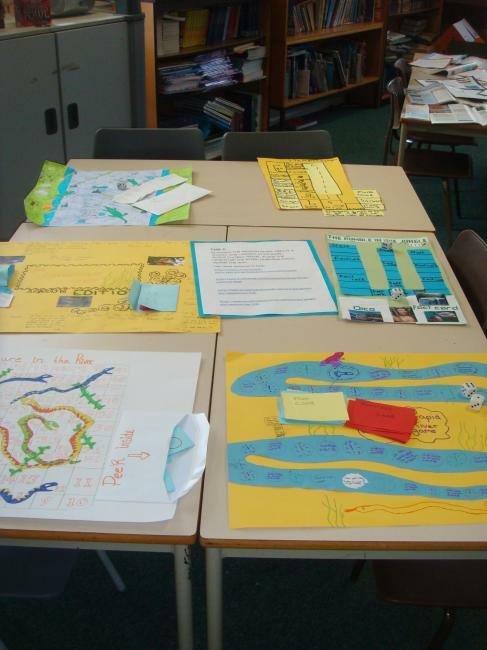 During the week they studied each country in depth - learning lots of geographical information. Some of the countries were quite tricky to locate. We all have a better knowledge of the where the countries are now! Year 3 designed their own World Cup T-shirts! We studied the Tour de France - we learnt how popular the race is in France and that sometimes the cyclists have difficulties cycling because the spectators get in the way! The Tour de France started as publicity stunt to sell more newspapers. It takes 21 days to complete the race. We drew a racing bike and labelled the different parts of the bike. Also, we brought our bikes into school and tested our skills as we negotiated our way around a mini cycling course. We had great fun during Plants and Animals Week. Each class did lots of exciting activites, had visits form a variety of different animals or went out and about in search of plants and animals in Otley. The week began with a visit from Sam's Safari. Each class had a visit form Helen and her animal friends which included a millipede, armadillo, tortoise, a variety of stick insects, snake and a gecko. Helen told us about each animal and then we had the opportunity to hold them. The hairy armadillo was the favourite! Here is a selection of the work from this week from Reception to Year 6. You can see all the exciting work from dissecting plants, plant sculptures, clay models, aboriginal art, research projects, and a variety of art work.